Relating to culture part III... on the way to thinking about The Golden Compass. So, we looked at Niebuhr's types to give an example of some of ways Christians have thought about relating to culture, and to notice that there is a significant spectrum of Christian thought on the issue. I mentioned that Niebuhr's types have some problems - not the least of which is that they're vague (for starters, he doesn't clearly define "Christ" or "culture" - good thing we tried). Cultural Indifference. Most Christians. Don't spend lots of time thinking about their engagement with culture. Generally participate the same way everyone does, and their conversation topics, habits, fashion and values are fairly close to the society they live in. Cultural Aversion. Culture is an evil to be avoided. This group is "highly sensitive to the ways contemporary culture threatens their beliefs, morals, and institutions. Culture is "of this world." Legit culture is sanctified by church traditions (potlucks?) or "for the gospel." Cultural Trivialization. Christian bookstore culture. Testa-mints. Do not reject current cultural forms (pop music) but want to Christianize it (contemporary Christian music). 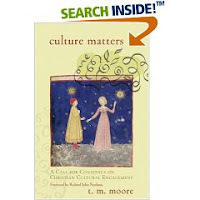 Narrow idea of culture (music, inspirational books, bumper stickers), and focused on personal. Otherwise fall into the "indifferent" category. Cultural Accommodation. Christian conviction to be non-judgmental about cultural preferences. Intentionally pluralistic, intentionally "accepting." All cultural practices are equal and deserve dignity. Cultural Separation. 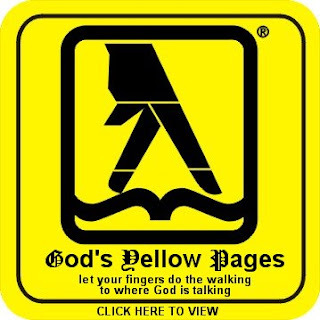 Christian schools, Christian yellow pages, Christian teen clubs. Broader view than the trivialists; not as fundamentalist as the aversionists. Parallel Christian culture envelopes all of life for Christian family and friends. "Safe," little interaction with wider culture. Culture Triumphalism. Voting for the right candidates will help us advance the Kingdom, return the country to a moral culture. Suppress harmful culture through government or powerful cultural influence. Outsiders can find it threatening. Moore goes out of his way to say that these aren't ideal types - in fact, many Christians function in and out of all six. Our wavering stance reveals that we conflicting convictions.